Kaleidozone, India’s first VR pod developer, offers a novel world of virtual excitement for gaming enthusiasts in Chennai, with six interactive games at four centers so far. CHENNAI: Imagine yourself 5,000 feet above ground level, walking on a narrow plank to save yourself. What if this was part of a game where you were made to believe that you were floating in air? Kaleidozone, India’s first interactive, immersive and integrated VR pod developer (that was launched back in June 2016 with just two virtual reality games), has now developed six games and expanded to four centres (three in Chennai and one in Bangalore). 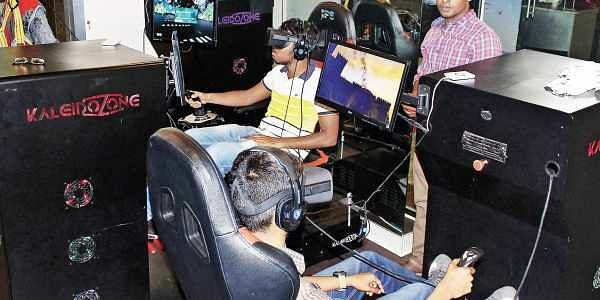 It is also the first exclusive VR arcade with its own gaming development centre in Chennai. “Whatever games we have here, right from the design, the ideation and content... are all developed by our team of game developers and engineers,” says Prathiba B, sales and marketing manager, Kaleidozone. 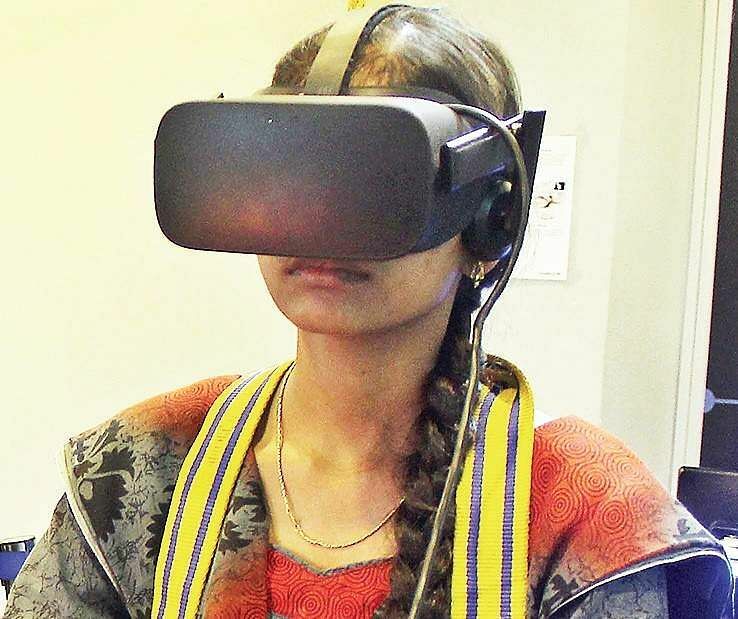 “Virtual Reality is a computer generated alternate reality that allows you to explore gaming differently and makes you feel like you are actually part of the game...both mentally and physically,” explains Prathiba. She says that it is often difficult to explain what it is like to play a virtual reality game. “That was the initial challenge we had. It is nothing like 3D or 5D, it is something totally different...you get to believe the unimaginable through this,” she smiles. Why did they decide to develop the arcade in Chennai city? Prathiba says that Chennai embraces new entertainment concept well. "We are also quite familiar with the city and also have our software development team here," she adds. The slew of virtual reality games offered by Kaleidozone includes Balloon Terror, Dodgem MP, Dragon Lord, Hover Board, Soccer Head and Space Lord. The games usually last only three to five minutes, but Prathiba says that for a player, the game has nothing to do with the duration. “The game takes the player to a completely different world. The games might sound very simple, but they are not. For example, Soccer Head is only a three-minute game, but the person who plays it will actually feel as though he played soccer on the field for 20 minutes,” she adds. The brainchild of Raj B Kumar and Murali D Barathi, Kaleidozone plans to expand to other places in India like Odisha, Coimbatore, Andhra Pradesh, and even overseas. “Generally, every new technology takes at least five to six years to be welcomed in India...we aim to change that. We are happy that the Oculus, the device that is used to see and experience virtual reality was introduced in the US only in November last year, but we had in it our market way before that,” smiles Murali. Shabu Chandra, a photography student, says that he thought he could finish playing Balloon Terror easily, until he actually started playing. “The minute I put on the harness and stepped onto a simple wooden plank, I knew my reality had been shaken by virtual reality. What seemed so easy to me earlier did not seem so anymore. I think this was the longest time I ever took to walk a 10 feet distance. I would go back there to try it again...I loved it!” he declares. Prathiba says that 75% of their target customers are college students. “We have groups of friends coming in and bringing more friends with them the next time. We have also been called to put up gaming stations at corporate parties, birthday parties and kitty parties,” she avers.